Hey guys... what do you say we make a quick jaunt back through that deep, dark and twisty wood just beyond Sweet November Land? Back to the place where we will find haunted houses, creepy castles and mad scientist labs galore. That spooky village is still inhabited year round by a host of quirky characters that are both a little sweet and a little sour. The only time that they venture out into our world is on that one special night of October 31st. It is then that they can blend in with the crowds of innocent trick-or-treaters and play mischief on all they meet. After all of our close calls and adventures last year it's best that we not linger overlong because that howling wind isn't the only thing giving me the chills. This night is bright, illuminated by a round full moon and countless twinkling stars and the shadows that they throw are making me just a bit jumpy. Wait! Do you hear that eerie 'OoooOoooOoooh' coming up from high in the sky? Could it be a ghost? Oh no! It's that wide eyed Witch Hazel again and this time around it looks like she is having a major broom malfunction during her midnight ride. Her black cat, Lucy, seems to be keeping her cool though it is all Hazel can do to hold on to her hat! 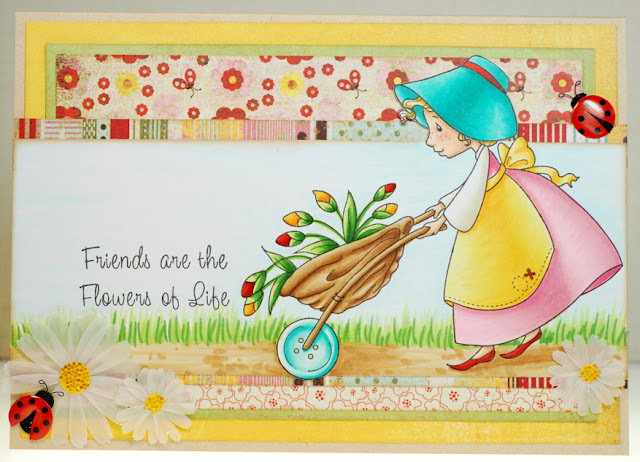 The Hazel and Lucy candy kit includes; one Sweet November Hazel and Lucy rubber stamp, ten 6x6 sheets of paper, small Studio G acrylic sentiment stamps, Prima flowers and Kaiser Craft pearls, ribbon, twine, buttons, Rock Candy stickles, four envelopes, four card blanks and my card. The candies will stay open through Friday, August 3rd and I will announce the winners on Saturday, August 4th. 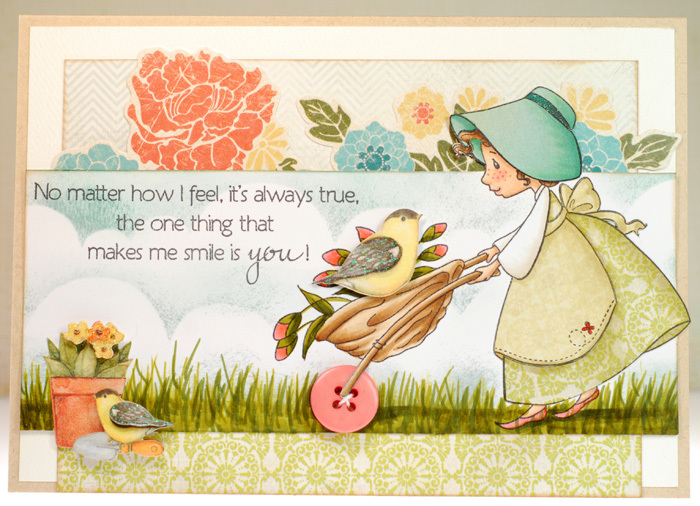 And just so you know... all of the new August stamps will be available for purchase Thursday night at the ATS store. Once again... instead of using random generator I will be printing out names and tossing them in a hat SO if you leave comments for the SN gals on their blogs, you will get an extra name in the hat for each one that you do... this will up your chances of winning the candy... fun, fun, fun! That wraps up day one of our August SN previews... 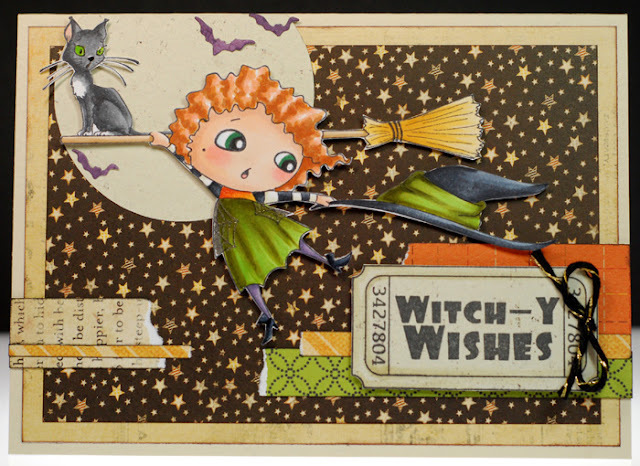 I hope you have had a fun little fright meeting this new Sweet November witch. Be sure to come back tomorrow to see who else will be creepin' up on us! The layout design was pretty standard and simple for me as I'm still in a bit of a time crunch but the papers made all the difference in the world. 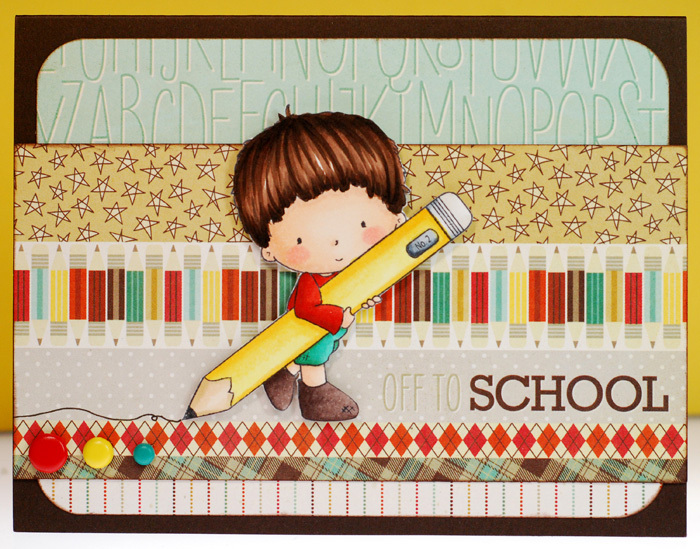 This older Off to School paper pad from Fancy Pants gave me a quick and easy background for Bauregard that I couldn't resist, especially considering that great pencil border that was on it. Talk about a perfect match! Bauregard isn't the only back to school cutie in the spotlight today so I highly recommend heading over to the ATS blog to check them all out and get signed up for a chance at winning some new rubber! Have fun and thanks for stopping by! I'm still away in Seattle but I thought that it would be fun to share a card that I made recently that has no coloring on it. Shock face for sure, LOL! 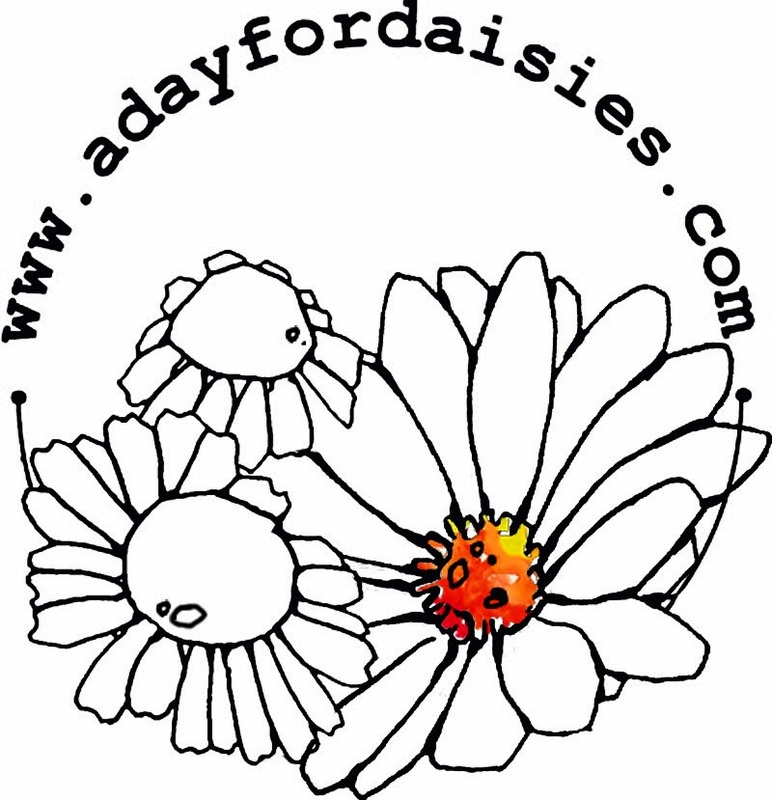 But it is better than letting my poor, neglected blog go days and days without anything new. Anywho, thanks for dropping by and I hope your weekend is a wonderful one! Alrighty, I'm signing off now. Later gators! Sorry crafty peeps, I truly had the best intentions of getting a card done and posted this weekend but work kept me busy and I was just plum tired by the time I made it home each night. So I tried not to stress over it because honestly, I have enough other things going on right now that I'm stressing over and I really don't ever want my crafty life to be part of that. That's not to say that I didn't enjoy a bit of coloring and craft time but I had to wait for today's review preview on the ATS blog before posting my card. We are reviewing the new Mashi's Muffins from the July release and this sugary sweet chick-a-dee is Lolli Lucy. Doesn't it look like she just stepped off of a Candy Land board? And that hair... it totally brought to mind a cloud of cotton candy so I tried my best to get that look. Confession time... I actually started coloring Lucy back before the previews at the beginning of the month. I got as far as her skin, hair and eyes but when it came time to color her clothes I couldn't find the paper pad that I knew I wanted to pair up with her. You know how much I love matching my colors to my papers so that was a problem. I searched and searched but couldn't find it and then I was traveling to the west side so Lucy kind of got left on my desk until now. Sunday morning I actually remembered exactly where I had put the paper pad, believe me it was a real 'duh!' moment, and the card came together quickly after all that, LOL! Alrighty, the ATS blog has even more candy cuteness today that you won't want to miss so be sure to check out what my teamies have been creating with these fun new stamps! 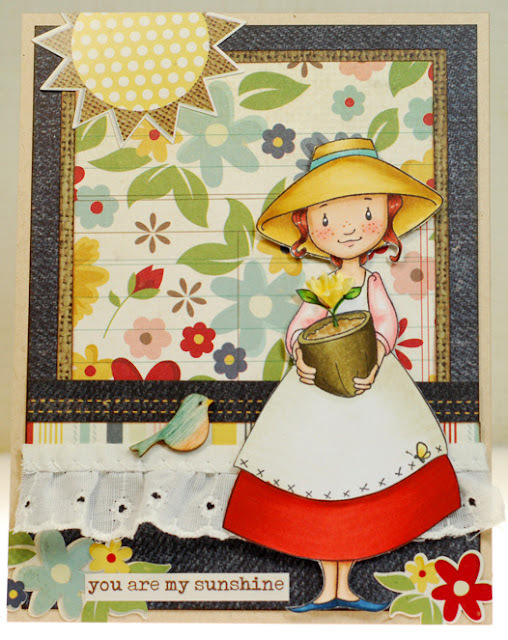 It's review preview day over on the ATS blog and today we are featuring the new July Sweet November Garden Gnome Girls. Alrighty, to see even more garden delights from the rest of my ATS teamies just hop on over to the ATS blog and thanks so much for stopping by today! Fingers crossed, I'm hoping that that time is not too far off. Mom has been doing much better this past week, even getting off of oxygen completely and they are reducing her antibiotics as well. She seems to get stronger every day and she is doing really well with the physical therapists. Her goal is to get home as soon as possible and the rest of the fam and I all want that too. So, knock on wood, it looks like she may only have a week or two left in the hospital... I hope, I hope, I hope. Well, I hope that you all are doing well and keeping cool in this record breaking heat. I promise to chat at'cha again soon! Have a great weekend and try to keep cool! Just like I promised earlier, Sweet November has a fun little surprise release this weekend! What new rubber is up for grabs you ask? Well, there are two sets... the Little Bit of Magic fairy set and the coordinating Little Bit of Magic sentiment set. 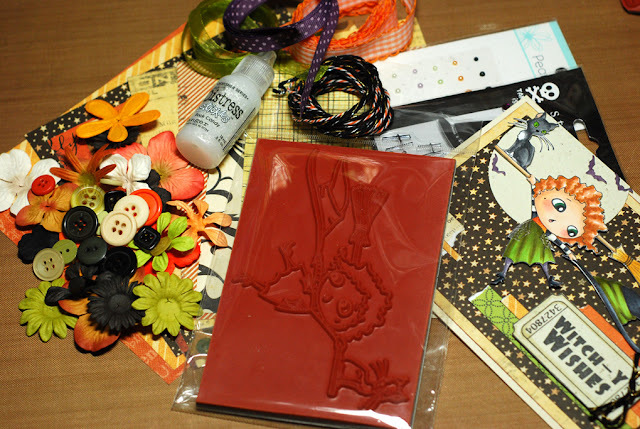 There are nine tiny fairies included on a 4"x4.5" piece of rubber and eleven sentiments on a 3.5"x5" piece of rubber. Now when I say that this is a surprise release, I'm not kidding you. I actually drew these fairies over two years ago as an initial design for the Fairwees. But they didn't see rubber then and eventually I moved in a different, more rolly-polly, direction with the Fairwees. After that, I honestly didn't foresee anything ever happening with these fairies. 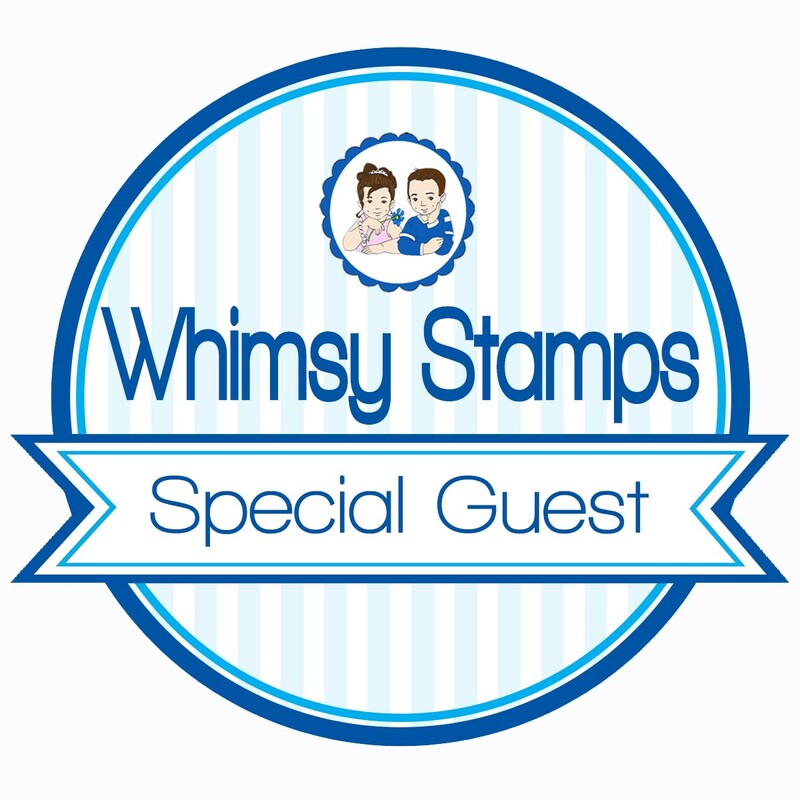 What a surprise it was to me when Christine wanted to take those original quick-to-color cuties and actually make them into stamps too. And not just one or two, but all nine of those first designs! The candy will be a short one... only staying open through tomorrow, Friday July 13th and I will announce the winner on Saturday, July 14th. Which is also when this special release will be available for purchase at the ATS store. Thanks so much for stopping by today and checking out the special surprise release. 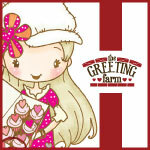 And don't forget that there are more great cards and more chances to win over on the ATS blog today too! I wanted to jump in here and give a quick update on where I am and what's currently going on in my world. My mom is still in the hospital over in Seattle and things have been a bit back and forth for her this past week. She had another procedure to remove more of the infection from around her pancreas and also had a biopsy done on her kidneys. During all of this she ended up back in the CCU and back on the ventilator for three or four days. She is doing much better now and has been moved back out of critical care. Unfortunately I wasn't able to go and stay with her because I came down with a really bad cold and cough that completely knocked me out for the majority of the week. Yea, lucky me. But, I'm feeling pretty good once again so I'll be heading back over the mountains tomorrow to stay with mom for awhile. As for today's card, I made this for the CC Designs release previews last week and it features the new Ice Cream Beatrice. I think that this new stamp is completely adorable and I couldn't resist giving her a nice vanilla and strawberry look to go along with her waffle cone tights. Mmm... she's making me crave a bowl of the sweet stuff right now, LOL! And once again, the Neapolitan papers were a perfect choice. Seriously, this paper pack has proven to be quite versatile and has been well used because of that fact. Oh happy day, we have winners! Big thanks again to everyone who came out for the reveals and said such nice things about our new SN friends... without you they wouldn't be nearly as much fun! The summer sun is shining in Sweet November Land and all of those seeds that were planted back in the spring have been growing and thriving in the gardens. And I thought it would be fun to head back into those lush, green rows of growing things and visit the Garden Gnomes once again. These industrious little ladies have kept very busy coaxing and caring for each of their precious plants and with so much new activity I'm sure that we will be meeting a few new faces this time around. Our final stop on the tour through the Sweet November gardens brings us to the crystal greenhouses. That is where we find little Gertie who is in charge of choosing the most prized plants from this year's harvest and collecting the seeds to start the process all over again. She loves to putter about, transplanting seedlings and sprouts from pot to pot. For Gertie in those greenhouses it always feels like summer no matter what time of year that it is. 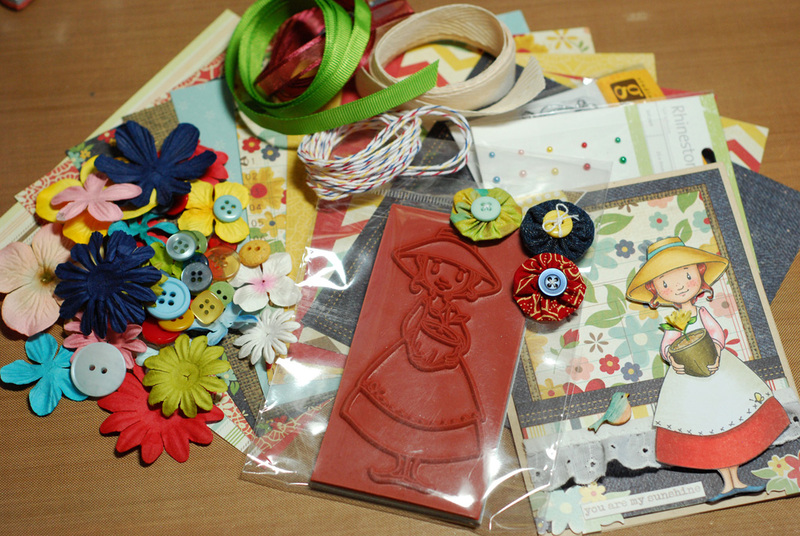 The Gertie candy kit includes; one Sweet November Garden Gnome Gertie rubber stamp, ten 6x6 sheets of Simple Stories Summer Fresh paper, small Studio G acrylic stamp, Prima flowers, Kaiser Craft pearls, ribbon, twine, buttons, yo-yos, four envelopes, four card blanks and my card. The candies will stay open through Friday, July 6th and I will announce the winners on Saturday, July 7th. 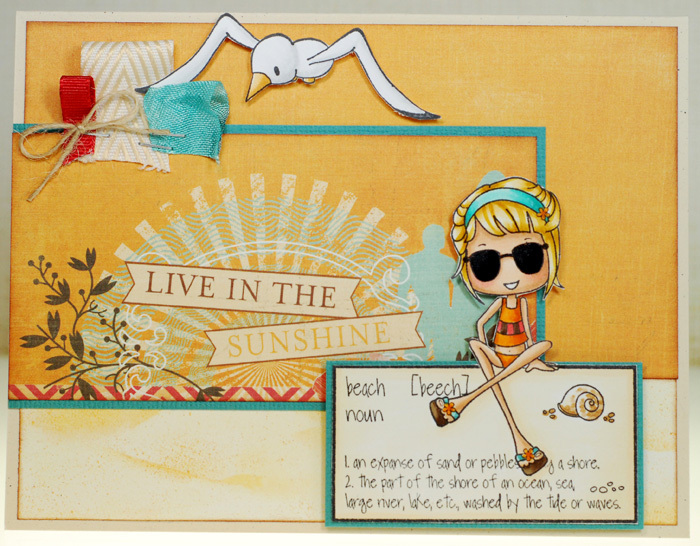 And just so you know... all of the new July stamps will be available for purchase tonight at the ATS store. Well, another SN release is in the books and I hope you have enjoyed it. 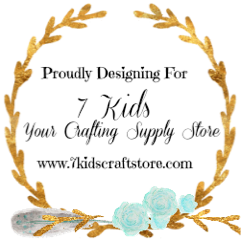 Thanks so much for visiting each day and be sure to check out the ATS blog today for even more Sweet November previews and chances to win! After filling up on some delicious veggies yesterday it's time to mosey on over to the beds full of summer blooms and just enjoy the sweet scent floating in the breeze. It doesn't take long before we realize that the sway in some of those flowers can't be contributed to the wind. Instead, Gnome Myra is busily gathering up the freshest blossoms to give to the fairy tailors for this seasons gorgeous new gowns. She has a knack for picking the perfect bouquet each and every time and everyone loves Myra for that. So when she pulls a bundle of blooms from her wheelbarrow and hands them to you, you know it is a very special gift. The Myra candy kit includes; one Sweet November Garden Gnome Myra rubber stamp, ten 6x6 sheets of Basic Grey Serendipity paper, small Studio G acrylic stamp, Prima flowers, Kaiser Craft pearls, ribbon, twine, buttons, yo-yos, four envelopes, four card blanks and my card. The candies will stay open through Friday, July 6th and I will announce the winners on Saturday, July 7th. 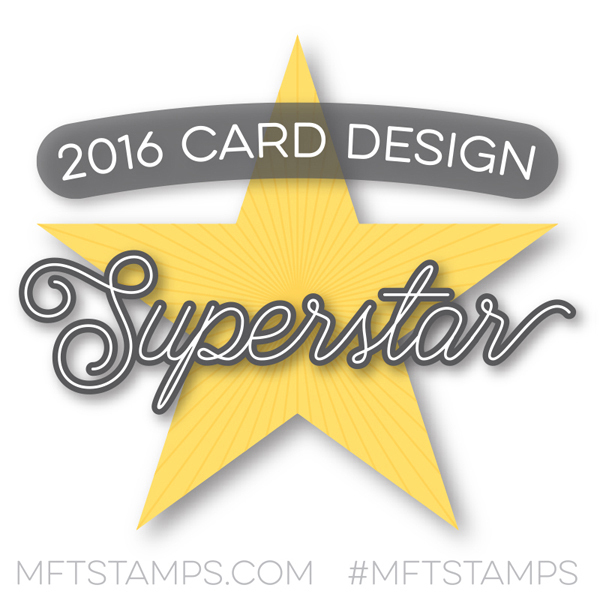 And just so you know... all of the new July stamps will be available for purchase Thursday night at the ATS store. Thanks for stopping by for day two of our July SN previews... it has been a lovely day for a walk through the flowers, don't you think? Be sure to check back tomorrow to meet one final gnomie friend! Oh, and Lucy may just slip some candy in there too, take a look-see.. 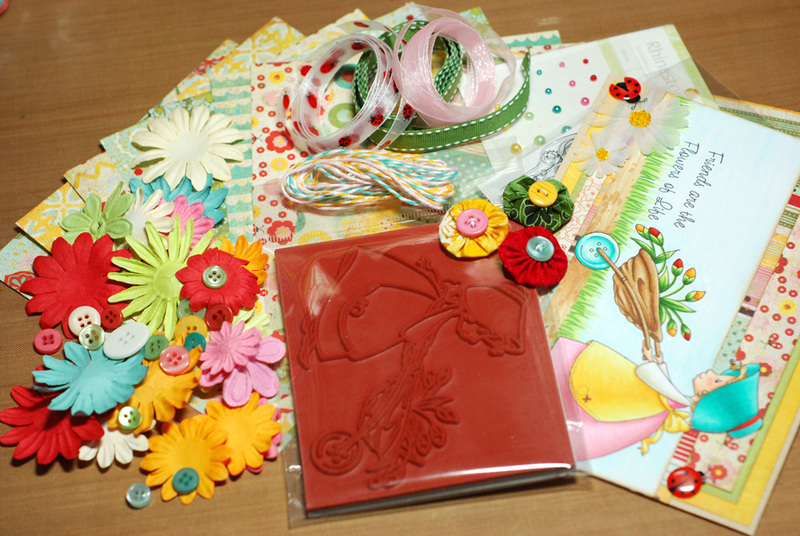 The Lucy candy kit includes; one Sweet November Garden Gnome Lucy rubber stamp, ten 6x6 sheets of Cosmo Cricket Garden Variety paper, small Studio G acrylic stamp, Prima flowers, Kaiser Craft pearls, ribbon, twine, buttons, Basic Grey yo-yos, four envelopes, four card blanks and my card. Well, that's a wrap on day one of our July SN previews... I hope you have had fun meeting this new Sweet November cutie and come back tomorrow to see who else will be walking down the garden path! 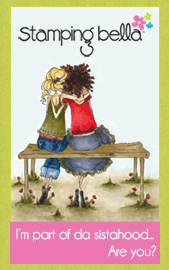 Can you believe it is already time to start previewing the new Sweet November stamps for July? Time sure is flying... it seems like it was just spring planting time and now here we are with summer full upon us and it is time to start doing some harvesting. 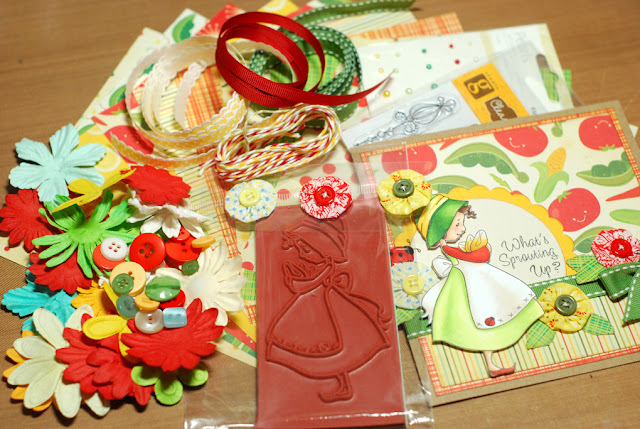 But before we get our hands dirty I want to shine the Sweet November Guest Gal spotlight on a very special friend and fellow card maker whom I have gotten to know through emails these past couple of years. 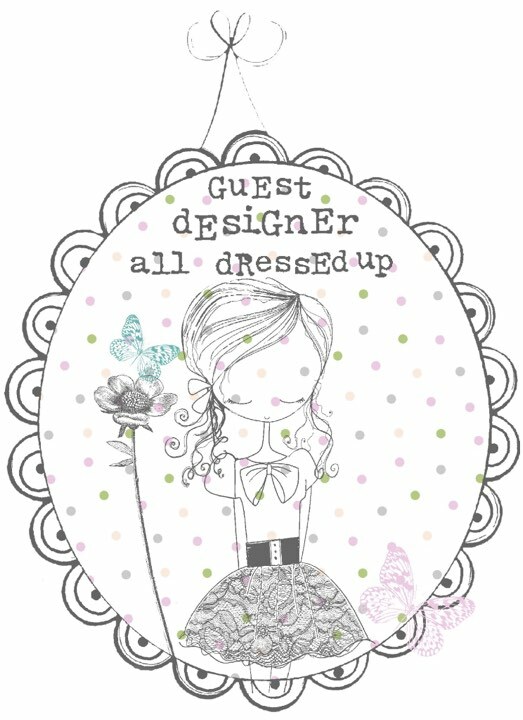 And when she recently started her own blog I couldn't wait to have her join this release... please say hello to Tress Smyth! Ok, so now it's time for Tress to answer the Sweet November questionnaire... which I always look forward to reading! Green! To me, green represents growth/life, and it allows other colors to stand out when it is used as a backdrop. Green can provide balance and stability to other colors. I'm not one to seek the spotlight, but rather enjoy being a strategist who can design plans for others. I crave learning...continued growth. 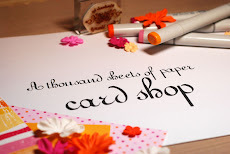 This venture of card making and blogging is a new experience for me. Typically, I'm more logic driven, rather than creative, but I'm trying to develop new skills. Yes, I think so. I like light bright colors, flowers, and a casual not too fussy look! You won't find much beige, brown, black, or muted shades in my wardrobe or my house. My craft room/guest room is blue and white with floral accents everywhere (along with a few fairies tucked in here and there). In my living room some of the furniture you'll see includes a denim sofa, a large floral chair and a half (my throne, lol), an ottoman used as a coffee table, an antique side table, an 1800's bookcase, and a contemporary wall unit that houses hubby's LARGE television...which I must admit I've learned to appreciate. :) White tee shirts and capris or shorts in all the colors of the rainbow are my standard dress. My cards also tend to be colorful and not too embellished. Gosh, this question is difficult to answer. There are so many periods in time where people were expanding the boundaries of knowledge and creativity. I suppose, based on conversations I've had with individuals, I'd say the Roaring Twenties. During my college years, I had the pleasure of spending time with several women who were young adults during the Twenties. They told their stories with such zeal, recalling lives full of fun, excitement, and passion. Their eyes sparkled as they talked about long summer days, dance halls, prohibition, politics, love, and fashion. I'd enjoy seeing these women in their heyday! Definitely a fairy! I'd love to fly under my own power and live in and amongst the flowers. Being a darker fairy rather than a cherubic faced pixie would be my choice. Although I also like the style of fairy shown in the movie Snow White and the Huntsman...shimmery and almost transparent. 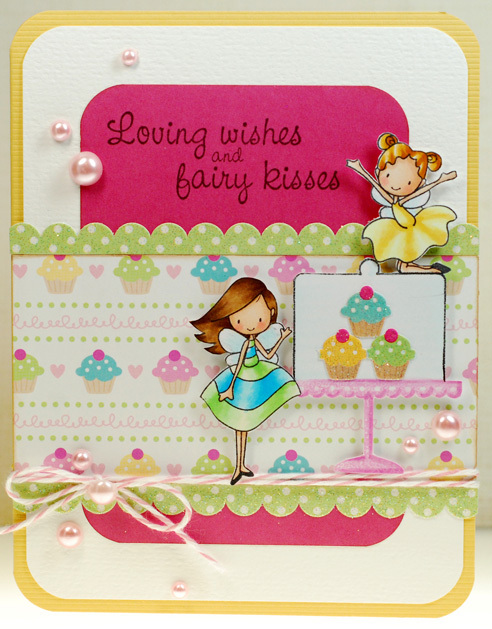 Now, check out the gorgeous card that Tress created using the Princess Ilyse stamp. Her coloring is positively dreamy and Ilyse looks so serene and regal all decked out in those beautiful shades of purple that Tress used. 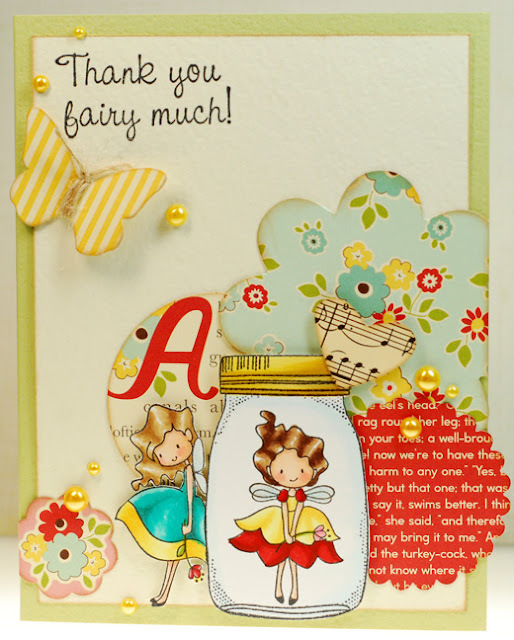 And that single sheet of pattern paper creates the perfect scene for this lovely princess... I just love how it looks like she is resting beneath a wisteria tree in full bloom. So when it was time for me to CASE Tress' card I knew that I wanted to create a single sheet scene for a princess as well. So I pulled out Lilliane and colored her up. But in my entire stash of paper I couldn't find anything that I liked. 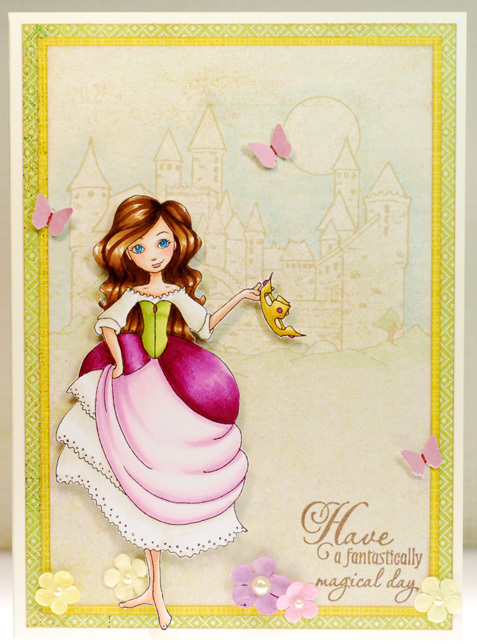 So I had to get a bit creative and ended up stamping a simple scene for her instead using a castle stamp on slightly patterned paper and just a hint of color added to give it some interest. In the end it was just what Lilliane needed. 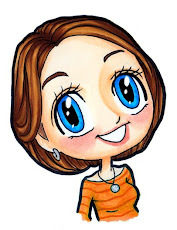 Alrighty, so tomorrow Tress is joining Nancy, Marion,and myself and we will be kicking off the July Sweet November release previews! You won't want to miss sneak peek week both here and over on the ATS blog. As always there are chances to win all of the new goodies so don't miss out on the fun! Of course not! 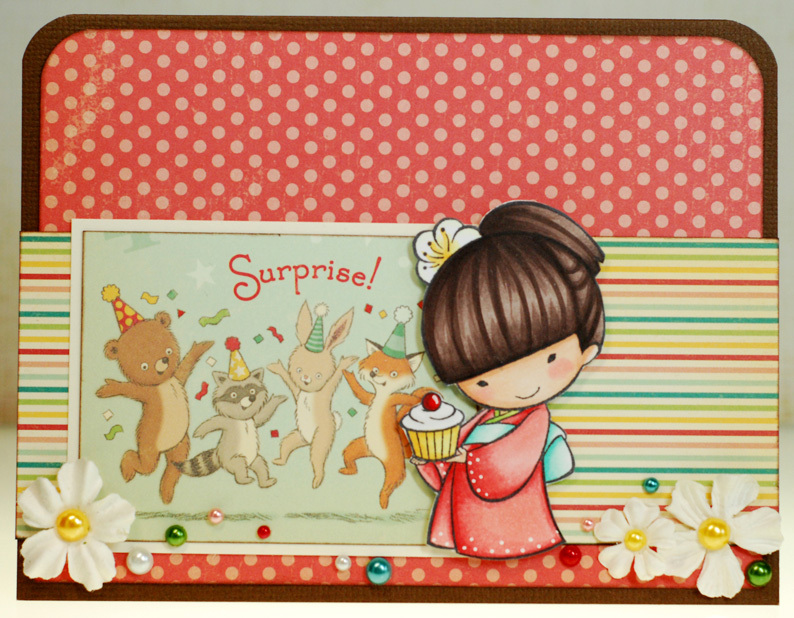 It's release day for the three new Sister Stamps birthday cuties; Mariko, Takeo and Miyoko and they can be found at a number of online stamp retailers, including All That Scraps. As always, I pulled my Copic colors from the papers I wanted to use. I know last month I was coloring up images away from home without any reference and I have definitely come to the realization that I work much, much better when I have a color story to match to and guide me. That's just how I roll, LOL! Alrighty, thanks again for stopping by for the celebration this week. And even though the Sister Stamps release is a wrap, tomorrow we are jumping right into a Sweet November spotlight to kick off even more new release fun! I hope I see you back then!